Christy Jo Fogarty has been licensed dental hygienist for 15 years and was the first advanced dental therapist, not only in Minnesota, but in the country. She works for Children's Dental Services in Minneapolis, a non-profit dental clinic that has served children under the age of 25 and pregnant women for almost a 100 years. She hold a bachelors degree in dental hygiene and a masters degree as an oral healthcare practitioner from Metropolitan State University. In addition, she is the immediate past president of the Minnesota Dental Therapy Association and President of the American Academy of Dental Therapy. She has testified in several conventions, states legislatures, and in front of a national senate commission on behalf of dental therapy. 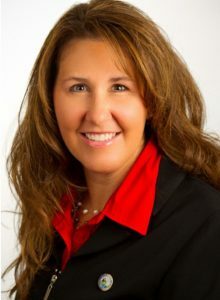 Fogarty is very active in her community, having served three terms as a member of the Farmington City Council from 2002-2014, former chair of the Economic Development Authority, and chair of the Farmington Royalty Committee. In 2009, Fogarty was appointed by Governor Tim Pawlenty to serve on the Board of Water and Soil Resources and was re-appointed by Governor Mark Dayton in April of 2013, where she represented all of the cities in the 7 county metropolitan area, and included working with the grants committee allocating projects from the Clean Water Legacy Fund. In 2012, the Minnesota Supreme Court appointed Fogarty to the Commission on Judicial Review for District 1, making recommendations to the Governor on judicial appointments from Waconia to Hastings. On a personal note Fogarty has been married for over 20 years and has three teenage children and puppy named Molly.